Have you heard the word mindset recently? I imagine a large percentage of us have heard it mentioned in conversation or are familiar with the concept of what it means. For those of you who need a brush-up, a mindset is a term coined by Carol Dweck, a psychologist that refers to several decades of research. The premise of mindset is based on achievement and success – a simple idea that has a huge impact on our lives. Mindset refers to our beliefs and our values. Whatever it is we hold dear be it, family or impedance shape the way we think and the way we do, these make up our mindset. Take a moment to think about your intelligence, talents and your individual personality. Ask yourself, are these fixed traits or can I change and be more than I am? Is my brain changeable or am I stuck with the way I think now? People with a fixed mindset believe that their traits are given to them at birth and are non-negotiable. Their belief system tells them that they have a certain amount of brains and ability and that nothing can be done to change that. People with this mindset often worry that they have expectations to live up to and people to prove things too. Alternatively, people with a growth mindset see that our qualities can be fine-tuned and improved throughout life. They believe that there is no such thing as “too old” and that we are constantly learning and developing our brains and our personalities. People with this mindset believe that no one can achieve great things without years of practice and learning. In a fixed mindset, people generally believe they have basic skills, talents, and intelligence that are fixed traits that we cannot change or improve. People with a fixed mindset usually believed that intelligence is limited rather than something we can grow and spend time limiting themselves rather than looking for opportunities for improvement. Typically, they also believe that talent alone creates success rather than hard work and effort. In their mind, you are either born with it or you are not. In a growth mindset, we see the opposite. For those with this mindset, intelligence and skills are just the starting point and that each person through hard work, effort and determination will find success. Brains and talent are just the starting point in people with a growth mindset. This view typically advocates love for learning and resilience to setbacks. People with a growth mindset are always looking for the opportunity and not the obligation. Why does our mindset matter? How we think ultimately has a detrimental effect on our success in life. It can determine whether we become the person we want to be or whether we are committed to the things we value. If we have a negative, fixed outlook in life we often put invisible limitations on ourselves that prevent us from achieving throughout life. For example, if you have the mindset that you are bad with numbers you are very unlikely to ever become an accountant no matter how much you want to. This is because your fixed mindset tells you that you are unable to alter the part of your brain that processes maths and therefore your skills will never improve. If we have a positive or growth mindset, we are more likely to achieve the things we want no matter how out of reach they seem. If you believe that one day you will be able to run a marathon but find yourself not typically athletic, you will work at your training each day until you complete all 26 miles. This is because people with a growth mindset have the proper belief system in place that allows them to grow and develop and ultimately, achieve those things they want. For them it is not about proving their worth or how others perceive them, it’s all about ensuring that they work to their best ability and feel proud of what they have learned along the way as well as what they accomplished. After considering the important differences between a fixed and growth mindset we are able to establish some really valuable points about why it’s important to change our mindset. If we stick to the same old habits and never push ourselves to achieve more, to do more or to improve ourselves we will become stuck in the same cycle. Never growing and never moving forward. Rather than worrying about failure or about proving yourself to others, be proud of who you are and what you can achieve. This can be done through a real love of learning and for valuing the process and the journey rather than the outcome. A belief system that encourages you to achieve for you and not for anyone else will help you move forward and be so much more than you already are. Our mindset will have a huge impact on what we get out of life and only we can change it. How can we change our mindset? I am sure by now you are feeling very overwhelmed by the prospect of mindset and have come to this section feeling immediate panic. Rest assured, however, it is easy. We can change our mindset so that we can become more positive, open-minded do-ers by simply changing our habits. Once you can make the decision to change, you are already halfway there. Then, the more we practice our new habit, the more we change the way we think which ultimately changes the wiring in our brain until we carve new patterns that come naturally. 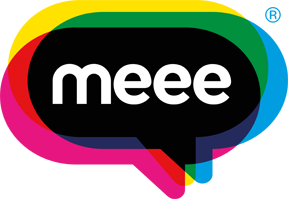 We also highly recommend getting a copy of our book Meee in a Minute – 60 ways to improve your life in 60 seconds. Throughout his handy guide, Sid gives you the tools and mechanisms to make positive changes in your life, helping you to be more confident and successful. For us it’s all about little things that turn into big changes, whether it starts with your mindset or your self-esteem, 60 seconds really could change your life. Head over to Meee Books to sign up for our latest book updates!